Remember Windows Mobile? It was the OS produced by Microsoft that you might remember on some phones like the HTC Touch Pro2 or the Touch Diamond2. Actually, it wasn't that long ago but we don't hear much about this OS anymore with the finger friendly Windows Phone 7 on the way. There are some cellphone users that tote around with them a Windows Mobile device, and for them, the Opera Mini 5.1 has been launched. Already available for Java, BlackBerry and Android phones, the new build can now be downloaded on handsets powered by Windows Mobile 2003 SE, 5.x and 6.x versions. Opera Mini 5.1 will support high resolution screens, allow you to make Opera your default browser, and change orientation through the phone's accelerometer. Power users will find support for advanced configuration. Opera Mini compresses up to 90% of data before it reaches your phone. That means that less data needs to be transferred and according to Opera, this can save a user on some expensive plans as much as 90% on their bill. To install the free software on your phone, go to m.opera.com with your phone's default browser and an optimized version for your handset will automatically be selected. Opera Co-founder Jon Von Tetzchner said, "Opera Mini 5.1 contains several key improvements for the millions of people with a Windows Mobile phone. 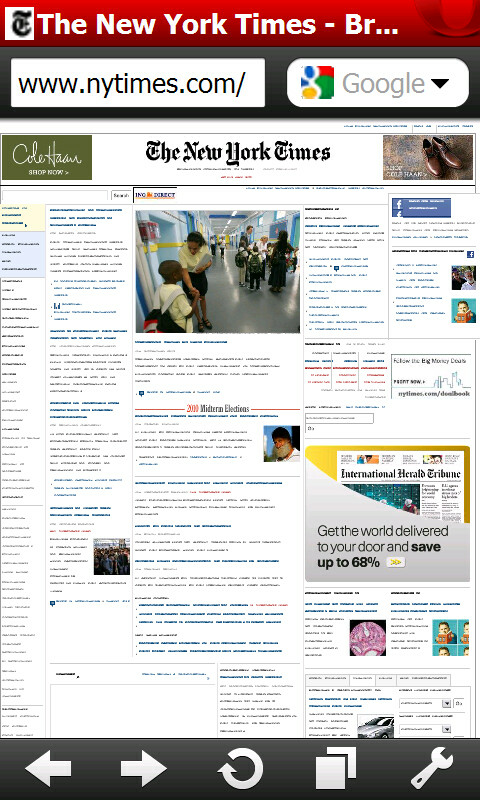 The new Opera Mini is particularly vibrant and really takes advantage of high resolution screens. And, now that you can set Opera Mini as your default browser on a Windows Mobile phone, it is much easier to enjoy the speed boost and data compression. It is our way of making your Windows Mobile phone better." Tried on my HD2 and I think it is extremely difficult to use and no flash support. I would rather use Opera mobile 10 and Skyfire.